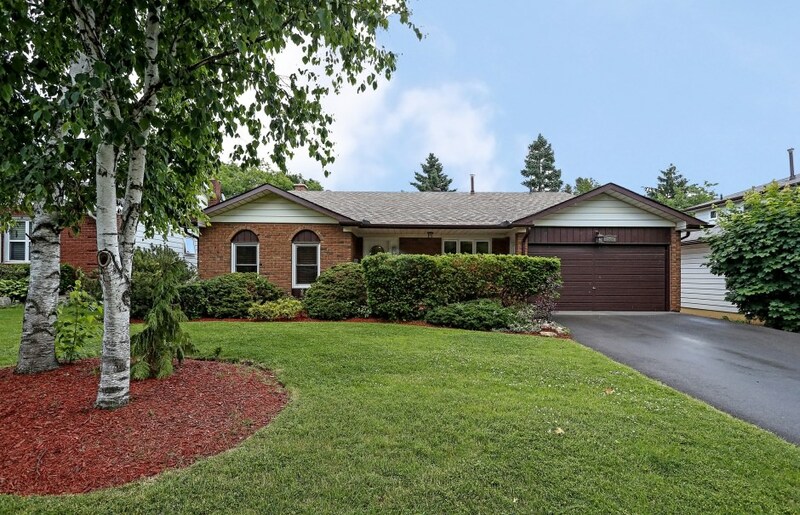 Nestled into private manicured grounds in a park like setting, this executive four bedroom home in desirable Falgarwood sits on a mature ravine lot. The home features a generous floor plan offering 2,774 sq feet of total living space with new laminate hardwood and ceramic tile throughout the upper floors, and new plush carpeting in the lower level. Upon entering through the front of the home, the large formal living room and spacious dining room features large windows — offering an abundance of natural light. The gourmet kitchen has new counters, updated cabinet doors, ceramic backsplash, plenty of pot lights and matching appliances including a barbeque gas stove. The second floor master features access to the updated 5 piece ensuite bath, and the remaining two bedrooms are all generous in size. 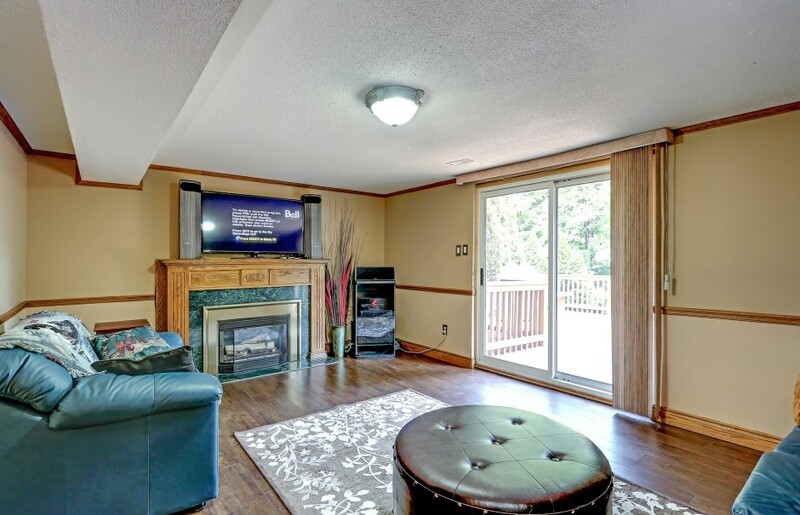 The lower level includes a spacious family room with gas fireplace and is wired for surround sound. The sliding glass door leads out to a large two tier deck overlooking a peaceful and private south exposed ravine yard. 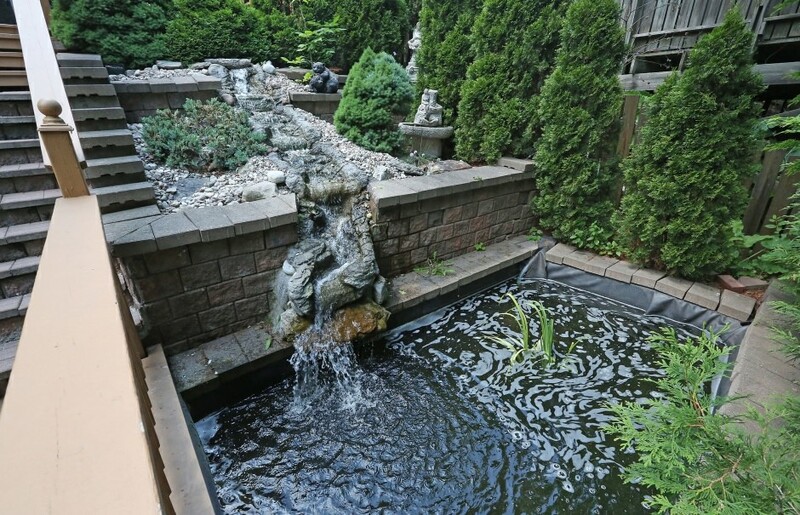 The tranquil waterfall/pond feature is stocked with live fish. The large electric awning provides plenty of shade and protection in any weather. The fourth bedroom, den and four piece bath complete the lower level. The basement level has been updated with new plush carpeting, halogen pot lights, and a two piece bath. Central air and the double car garage complete this gorgeous family home. Enjoy walks along the many nearby nature trails this neighbourhood has to offer. 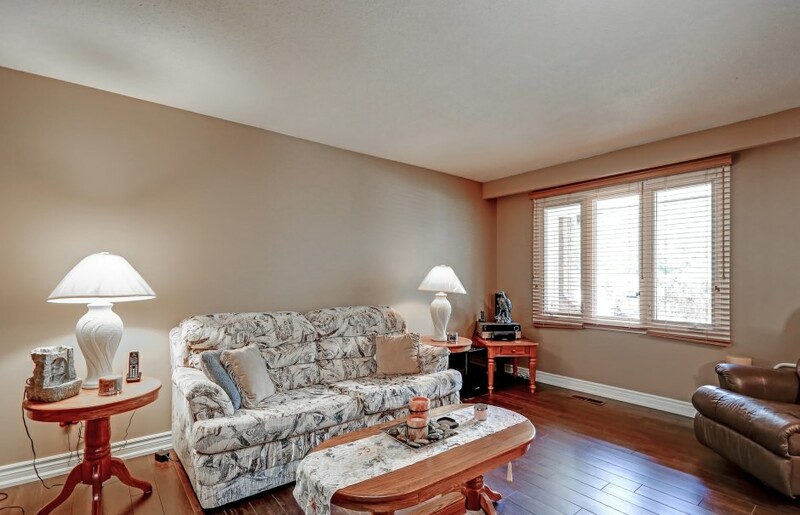 Conveniently located near schools, library, rec centre, Go Transit and shopping.